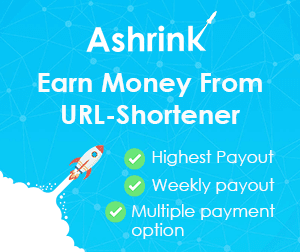 Digital marketers across the globe rely on the easiest and budget-friendly resource called WordPress to come up with versatile professional online interfaces. Apart from allowing web designers to deliver hard-coded sites with a faster turnaround, WordPress has a flipside to it. And that is its susceptibility to hackers and fraudulent imposters. 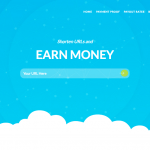 It is important for e-marketers to secure their sites. 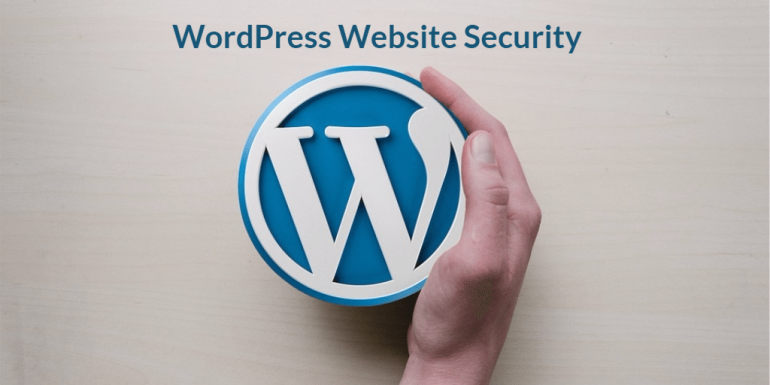 For all those people who are looking for safer WordPress sites in 2019, here is the checklist of precautions that should be taken. A hacked website loses a lot of information, causing irreversible damage to e-businesses. In order to steer clear of such anticipated attacks, the first tip to employ would be to have a regular backup plan in place. 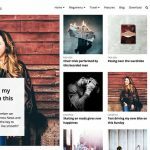 WordPress offers a host of backup plugins that will help you backup your media files, pages, themes and posts including your database. These plugins come with an easy restore option that can help you initiate the restoration process with a simple mouse click. Additionally, these plugins step in to schedule periodic backups, sparing you from performing manual backups. It is also a wise move to save your backups on external entities like Google Drive and Dropbox by solely not relying on the hosting server. Another tip in the direction of securing your WordPress site would be to discard outdated plugins and immediately replace them with updated ones. You don’t have to constantly add new content to your site or log in to your site often. But you can surely check for updates on a weekly basis and install them as and when they are available. An up-to-date WordPress site which has the most recent themes and plugins can pose a tough challenge to hackers, securing you from the permanent damages caused by security breaches. Needless to mention, a Secure Sockets Layer (SSL) provides an additional level of security to data transfer through encryption. An SSL certificate protects your WordPress site from hackers who are eyeing to steal your information during online data transfer. Tagged as the highest standard of SSL, an EV SSL Certificate also known as the Extended Validation certificate stamps your WordPress site as an authentic interface. Adhering to a series of globally-practiced ‘identity verification’ steps, an EV SSL certificate provides a legal sanction to your WordPress site. Such a move attracts visitors to safely perform financial transactions or data exchanges. That means, your WordPress site can use the HTTPS protocol and provide a safe interface for users to share crucial financial and personal information. A WordPress site typically calls for partnering with a managed hosting provider or a shared hosting company. Small businesses can rely on a shared hosting company but for the issue of files getting compromised. On the other hand, a managed hosting company helps you to set-up, maintain and constantly monitor your WordPress site. So, the best bet would be a good host which can assure you complete security to your site at all times and under different circumstances. Another tip to secure your WordPress site would be to restrict multiple login attempts. WordPress, by default, permits unlimited login attempts while many other websites do prevent users from logging in after a certain number of unsuccessful attempts. Here comes the need to rely on a Limit Login Attempts WordPress plugin that will secure your website from hacking attacks. Most of the WordPress sites fall prey to hackers who manage to steal passwords. Hence it is a wise move to have a complex password for your WordPress site. In addition to having a strong password that cannot be guessed, the practice of changing your WordPress passwords frequently is highly recommended. You may take the help of online password generators like LastPass to create a random password straight away. In addition, it makes a lot of sense to avoid ‘admin’ as the username for your WordPress site since it can easily be guessed and hacked. Notwithstanding the fact that it is a cumbersome task to set up a firewall, it is an essential constituent to secure your WordPress site. For this, you may take the help of a number of firewall services that are currently available. A firewall safeguards your site from attacks caused due to compromised passwords and it is the best means to protect your site. Hackers can play havoc with your WordPress site if they get to know the vulnerabilities concerning the current version number that you are using. Even though you are using the latest version, it comes as a wise move to conceal it along with all the information linked to your existing version. A security plugin can come to your rescue in this regard so as to mask all the information linked to the present WordPress version in use. Additionally, it is a wise move to conceal your configuration file and deny access to any user who is searching for it. While you should appreciate the fact that all the plugins come with a host of superior security features, it is the third-party sites that actually spoil the sanctity of these tools. Since these plugins are not getting sourced from the creator, there is ample scope for them to be compromised. It is an important trivia to note that a perfect plugin can be topped with malware and can be made available as a ‘free’ download from any other site. Such an option when availed will compromise the WordPress site of the user who installs it. Also since plugins fall prey to frequent hacking, it is best to delete obsolete plugins and avoid the installation of unwanted plugins. All these measures will not only enhance the functionality of your WordPress site but will also ensure its safety at all times. One more tip that you can employ to secure your WordPress site would be to attach a strong password to your ‘admin’ section. You can rely on cPanel to add an admin password by using the icon named ‘Directory Privacy’. Additionally, you can also install the AskApache Password Protect plugin. An alternative tip would be to avoid indexing your ‘admin’ section since indexing makes it easy for hackers to steal all your admin-specific information. Search engines make use of ‘spiders’ which are meant to search for websites and index them. Once this indexing happens with your site, all the crucial information in your ‘admin’ can fall into the hands of hackers. As a retort to such an instance, you can include the x-robots-tag code in your HTTPS header. This code restricts spiders from indexing your web page and saves your site from getting hacked. 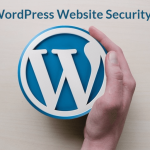 While it is very important for e-marketers in 2019 to initiate security scans inside WordPress on a regular basis, it is also advisable to exercise caution while adding user accounts. Constantly monitoring the changes to your WordPress site is another means to secure it from hacking, in addition to religiously employing the 10 precautions described above. All these will isolate your WordPress site from security breaches that can happen at any point in time.